Hunter Engineering, which has worked with the Society of Collision Repair Specialists to warn body shops of the existence and challenges of vehicle calibration, has strengthened its ties with the organization and the industry by upgrading to an SCRS Corporate Membership. 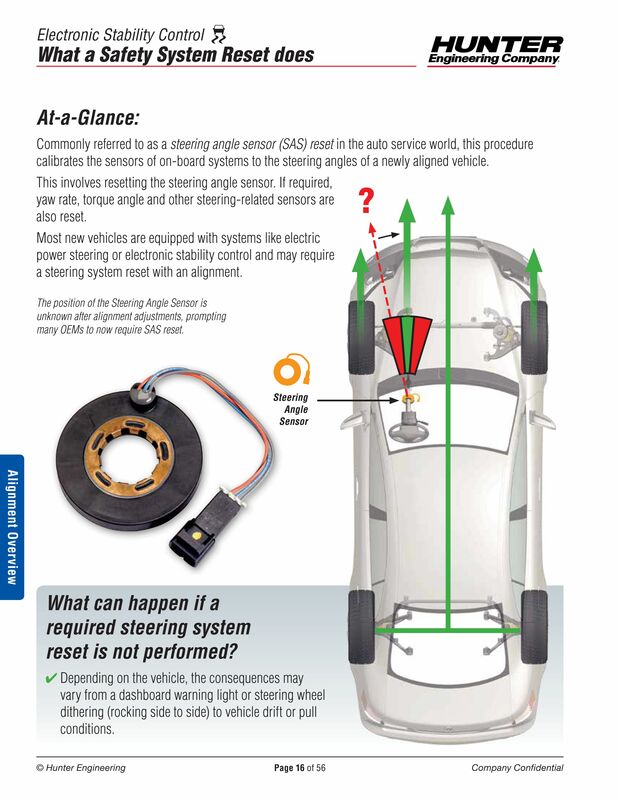 Silver served as one of the three headliner speakers at SCRS’ April 2017 Repairer Roundtable, warning repairers that 71 percent of the vehicles registered in 2015 needed an electronic stability control reset after a wheel alignment. 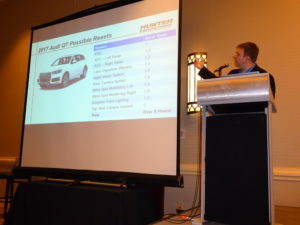 He also warned that advanced driver assistance systems also might need recalibration following an alignment, but the methods of doing so can vary between OEMs — introducing more cost and complexity for the aftermarket. Prior to this, he and Hunter served as a crucial resource for an early 2017 Repairer Driven News series examining these issues. Silver also brought the issue to the aftermarket’s attention at SEMA in November 2017 with a brief talk on the subject before moderating “The Impact of Advanced Vehicle Systems on Routine Repair Process and Procedure” during SCRS’ OEM Collision Repair Technology Summit. Fellow panelists included Auto Care Association regulatory and government affairs Senior Vice President Aaron Lowe, Honda collision assistant manager Scott Kaboos, and Dean McConnell, director of the Continental ADAS business unit, global customer programs, and NAFTA OEMs chassis & safety division. “SCRS has been a wonderful resource for the industry that brings together repairers, suppliers, and industry experts to help raise the level of professionalism, provide solutions, and guidance that we believe repairers need today,” Silver said in a statement. The session is $75; an all-access series pass including the OEM Summit and Sky Villa afterparty is $375. 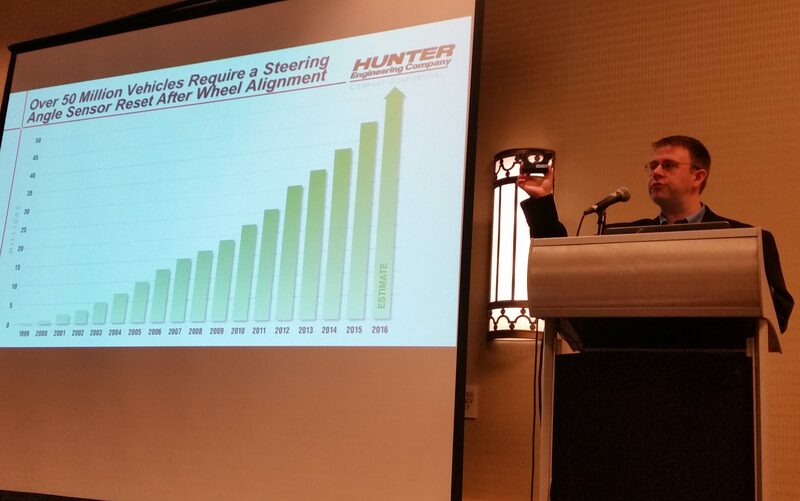 Hunter, which has served the auto industry since 1946, holds 350 patents, and sells alignment equipment compatible with most frame racks/benches, had been a Company Member of the trade group prior to the upgrade. Repairers, suppliers, and others seeking information about the various SCRS memberships — which help fund free resources like Repairer Driven News and the Database Enhancement Gateway — should email info@scrs.com or visit www.scrs.com. The organization and its 37 affiliate organizations represent 6,000 collision repair companies and 58,500 professionals.